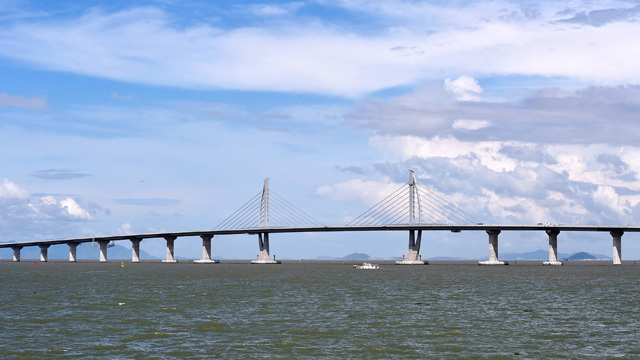 This month, China opened its most ambitious mega-project, a bridge that connects Hong Kong, Macau and Zhuhai City, south of mainland China. 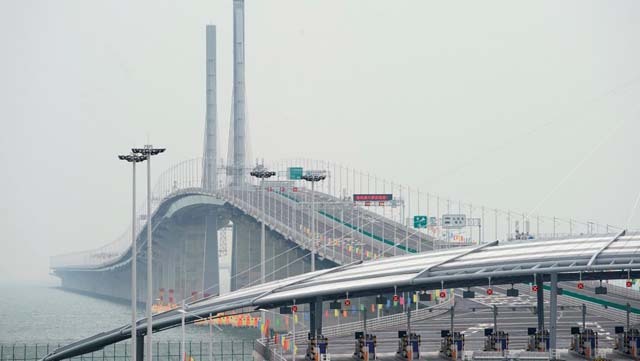 This project is an engineering feat in the sense that it is in fact a continuous succession of bridges, artificial islands, a tunnel and specific infrastructure such as border posts and interchanges. 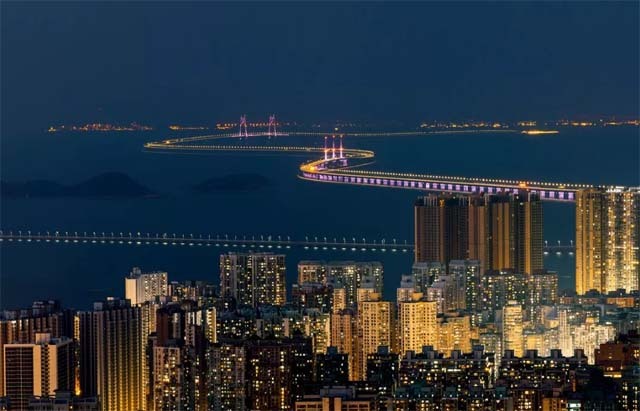 When in 1980 the Hong Kong real estate tycoon Gordon Wu stated the idea of a bridge between Hong Kong and Macau, everyone called him a “megalomaniac madman”. The utopia of the time has now become reality. 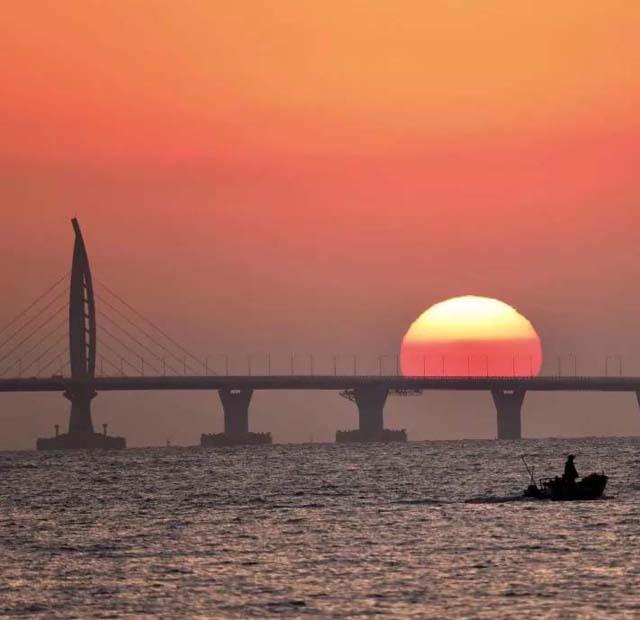 China has exploded economically and wants to make the Pearl River Delta become one of the most dynamic economic areas in Asia. 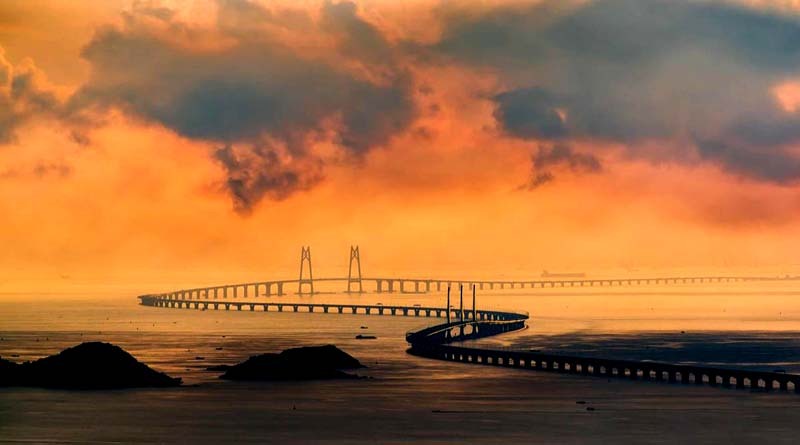 The longest cross-sea bridge: The Hong Kong-Zhuhai-Macau Bridge is 55 kilometers long and is the longest sea-crossing bridge in the world. 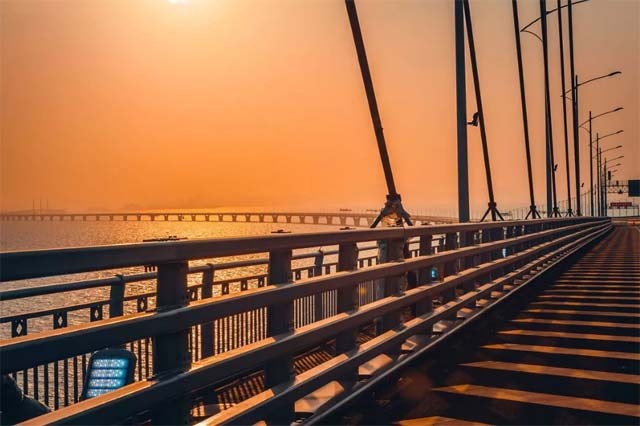 The longest steel bridge: 15 kilometers from the Hong Kong-Zhuhai-Macau Bridge is an all-steel structural steel box girder, which is currently the longest steel bridge in the world. 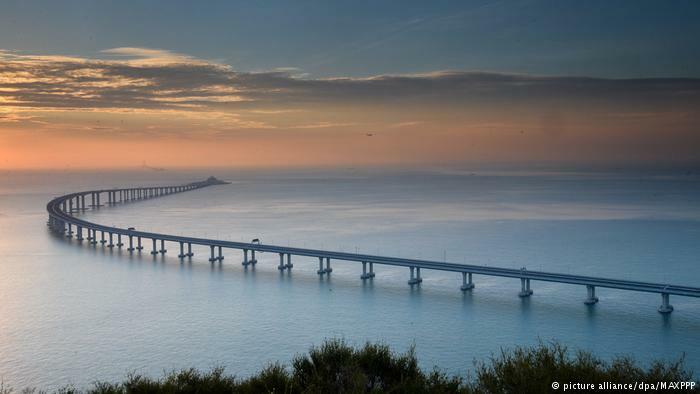 The longest undersea tunnel: The Hong Kong-Zhuhai-Macau Bridge submarine immersed tunnel is 6.7 kilometers long. 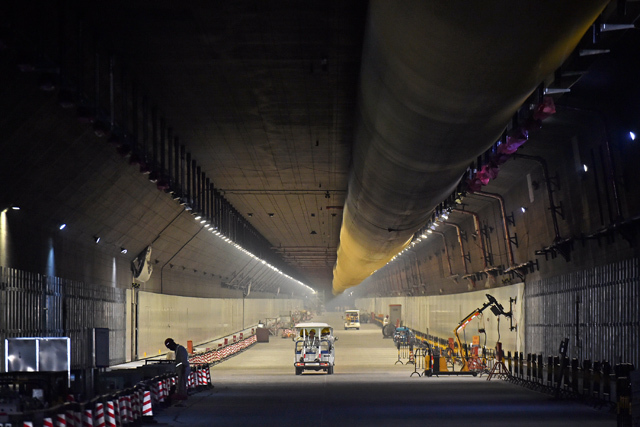 The largest immersed tunnel: the standard pipe section of the immersed tunnel, each section is 180 meters long and the displacement exceeds 75,000 tons. The most accurate deep sea “kiss”: the immersed tube is unattended on the seabed at a depth ranging from 13 meters to 48 meters below sea level, and the docking error is controlled within 2 cm. 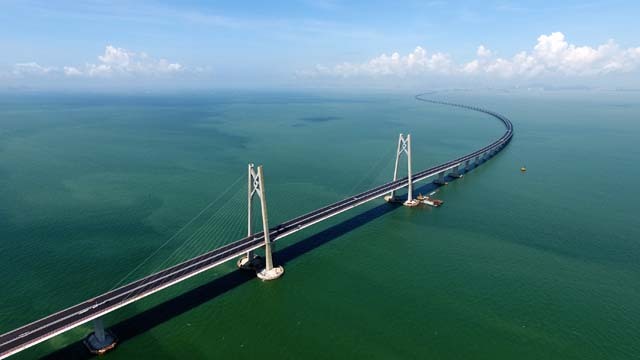 The deepest tunnel: The Hong Kong-Zhuhai-Macau Bridge is the deepest submarine tunnel at 48 meters below sea level. At present, the world’s deepest immersed tunnel rarely exceeds 45 meters. 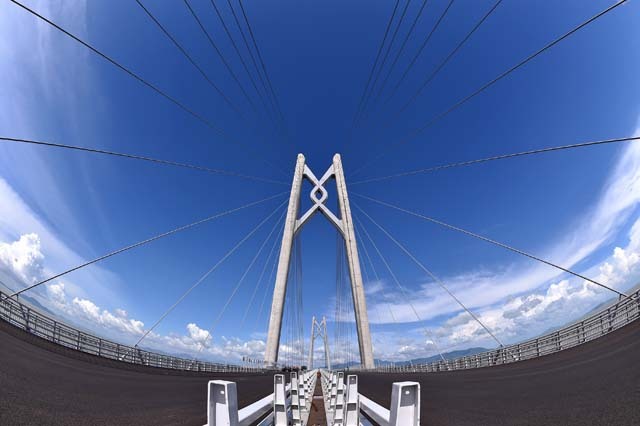 The bridge was designed to withstand grade-16 typhoon (wind speed 184-200 km/h), Magnitude 8 earthquake, 300,000 tons of ship impact, and 300-year flood. 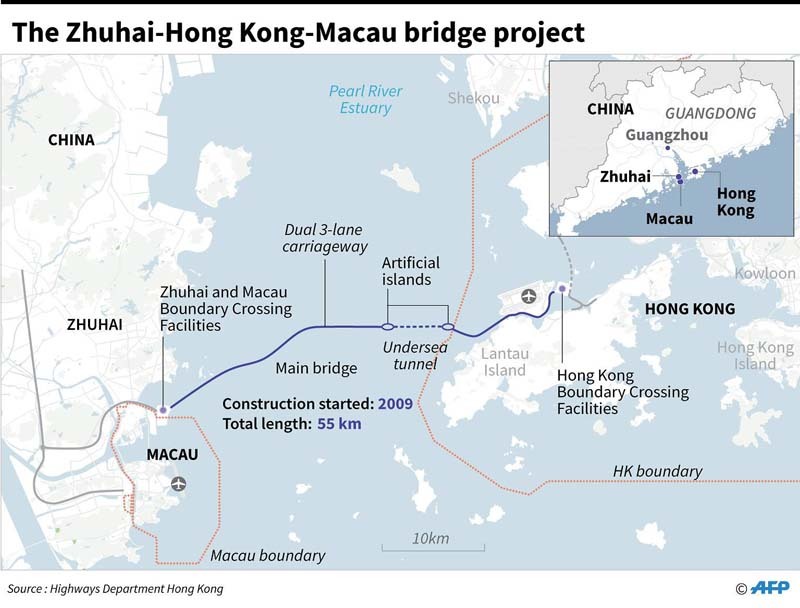 Users will be able to cross the Pearl River Estuary between Zhuhai/Macau and Hong Kong for less than one hour. Four artificial islands were built to support the structure. 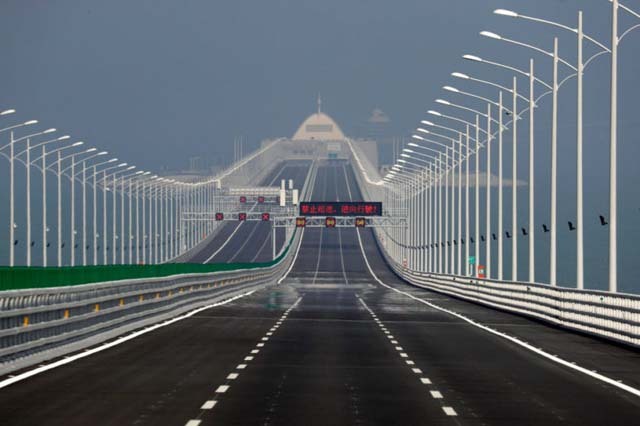 The bridge has six lanes and four tunnel sections, one under the sea. 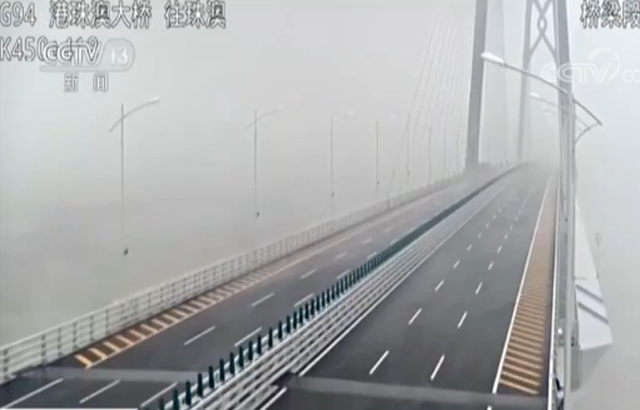 Neither pedestrians nor cyclists will be able to cross the bridge; it is designed for autos only. 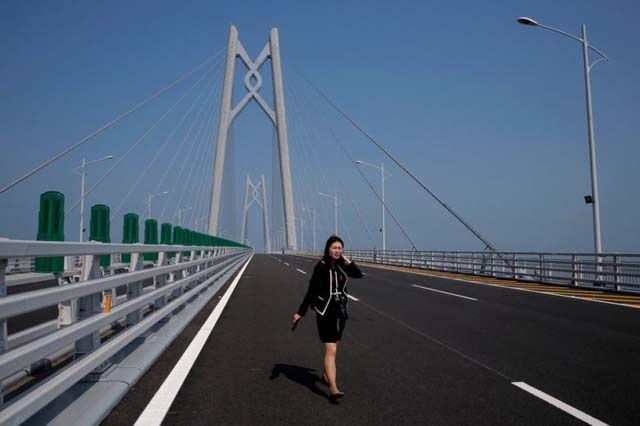 Authorities say the bridge will be operational for 120 years. The construction lasted almost nine years – from December 15, 2009 to May 23, 2018. 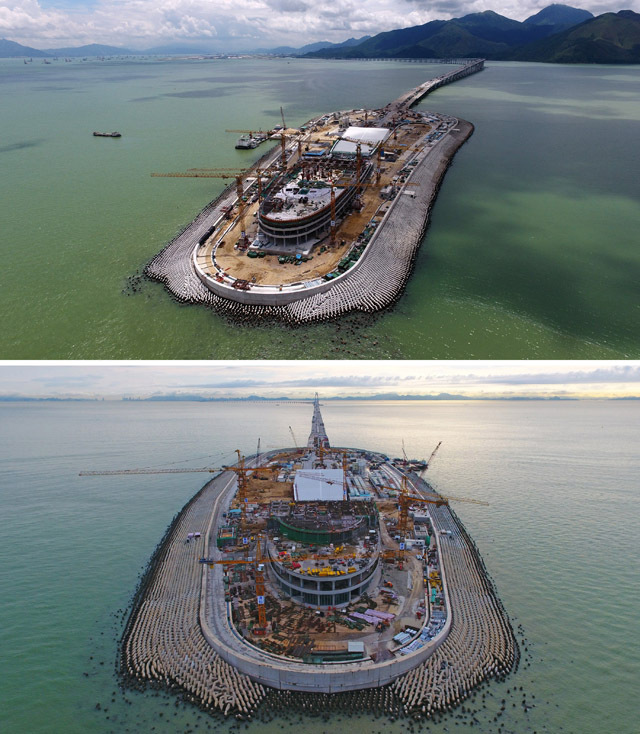 The total cost for the construction is approximately US$20 billion. It has the most beautiful sunset here. If you are driving in the dusk, plus a lyrical song and a loved one, probably you can be impressed by this intoxicating moment.